July 18 is World Listening Day. 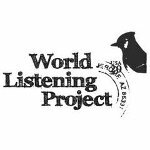 This annual global event was initiated by the World Listening Project (WLP), a non-profit organization that focuses on understanding the world and its natural environment, cultures and societies through listening and field recording. July 18 is a food holiday for all you seafood lovers out there as it is National Caviar Day. 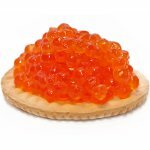 Caviar is a seafood delicacy consisting of processed and salted fish roe. 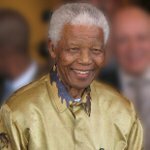 Nelson Mandela International Day, also known as Mandela Day, is an official United Nations observance celebrated on July 18 each year. It commemorates the birthday of a South African anti-apartheid revolutionary and politician who was the first black President of South Africa. 2013 The city of Detroit, Michigan filed for Chapter 9 bankruptcy. It is the largest municipal bankruptcy in the history of the United States. 2012 Died: Yosef Shalom Eliashiv, Haredi rabbi and arbiter of Jewish law (posek). He was the leader of the Lithuanian-Haredi community. 1995 Died: Srinagarindra (born Sangwan Talapat), member of the Thai Royal Family, Princess Mother of Thailand, mother of Kings Rama VIII and IX. 1988 Died: Nico (born Christa Päffgen), German singer-songwriter, musician, model and actress who became famous as a Warhol Superstar. 1986 James Cameron's science-fiction action horror film Aliens was released. It is the sequel to the 1979 film Alien directed by Ridley Scott. 1984 A mass shooting occurred in and around a McDonald's restaurant in San Diego, California. 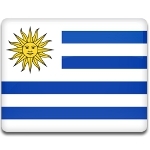 21 people were killed and 19 others were injured. 1982 Died: Roman Jakobson, Russian-American linguist and literary theorist best known for his contribution to the structural analysis of language. 1980 Born: Kristen Bell, American actress and singer who gained critical acclaim for playing the title character on the TV series Veronica Mars. 1976 Born: Elsa Pataky, Spanish actress, model and film producer best known for her role as Elena Neves in Fast Five and Fast & Furious 6. 1968 Gordon E. Moore and Robert Noyce founded Intel Corporation in Mountain View, California. "Intel" stands for Integrated Electronics. 1968 Died: Corneille Jean François Heymans, Flemish physiologist who was awarded the 1938 Nobel Prize for Physiology or Medicine. 1967 Born: Vin Diesel, American actor and filmmaker known for his roles in The Chronicles of Riddick trilogy and in The Fast and the Furious series. 1963 Born: Marc Girardelli, former alpine ski racer who excelled in five discipline. He was born in Austria, but raced for Luxembourg. 1962 Ricardo Pérez Godoy launched a coup d'état in Peru and headed a military junta until March 1963, when he was overthrown by Nicolás Lindley. 1950 Born: Richard Branson, English businessman and investor best known as he founder of Virgin Group, which comprises over 400 companies. 1941 Born: Frank Farian (born Franz Reuther), German record producer and songwriter, best known as the founder of the group Boney M.
1938 Born: Paul Verhoeven, Dutch film director, screenwriter, and producer best known for his films RoboCop, Total Recall, Starship Troopers and Basic Instinct. 1925 Adolf Hitler published the first volume of Mein Kampf, autobiographical manifesto in which he outlined his future plans for Germany. 1921 The BCG vaccine (Bacillus Calmette-Guérin) was first used in humans. The main use of BCG is for vaccination against tuberculosis. 1890 Died: Lydia Becker, British suffragette and amateur scientist. She is best known for founding and publishing the Women's Suffrage Journal. 1872 Died: Benito Juárez, Mexican layer and politician who served as the president of Mexico for five terms. He is regarded as the country's national hero. 1870 The First Vatican Council decreed the dogma of papal infallibility. It states that the Pope is preserved from the possibility of error. 1862 W. Wigram, J. Croz and J. Konig became the first people to reach the summit of the Dent Blanche, one of the highest peaks in the Alps. 1853 Born: Hendrik Antoon Lorentz, Dutch physicist who was awarded the 1902 Nobel Prize in Physics, sharing it with Pieter Zeeman. 1821 Born: Pauline Viardot (née García), leading 19th century French mezzo-soprano, pedagogue, and composer of Spanish descent. 1817 Died: Jane Austen, English novelist whose best known works include Sense and Sensibility, Pride and Prejudice, Mansfield Park and Emma. 1811 Born: William Makepeace Thackeray, English novelist famous for his satirical works, particularly Vanity Fair that satirizes society in early 19th-century Britain. 1721 Died: Jean-Antoine Watteau, French painter whose best known works include The Embarkation for Cythera and Pleasures of Love. 1610 Died: Caravaggio, Italian painter whose work had a formative influence on Baroque painting. One of his best known works is Boy with a Basket of Fruit. 1290 King Edward I of England issued the Edict of Expulsion, expelling all Jews from England. Jews were permitted to return in 1657 by Oliver Cromwell.